Campfire was approached by Campbells & Co with an interesting incentive. 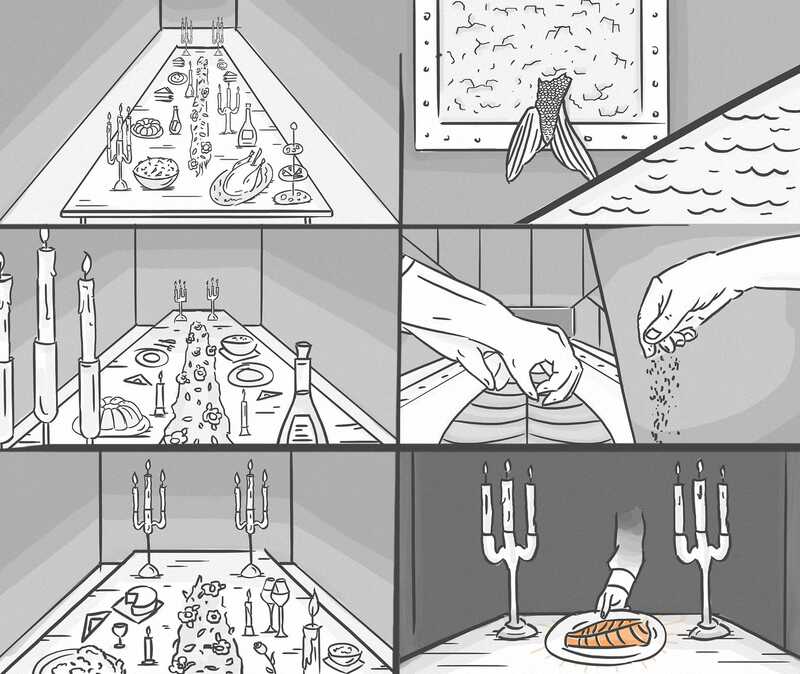 They asked us to create a cutting-edge film, inspired by car commercials and monochromatic luxury …for a salmon company. Needless to say, we were in intrigued. Here, we had the opportunity to put an unexpected twist on tradition and challenge ourselves by asking the question “how do you make salmon cool”? We began with mood boards, pulling inspiration from unlikely sources (luxury brands, obscure perfume advertisement and Bond film titles to name a few). From there we storyboarded, prototyped and pitched one of our most art-directed concepts to date. We focused on a concept which portrayed ‘Campbell’s & Co’s stand out nature in an industry which is otherwise silent. Envisioning a grand, long dining table, decorated with candelabras and an over the top feast, entirely dipped in black.. to give salmon the spotlight. Black tablecloth, black cutlery, black candles, black food. The only way to achieve this concept was to instil a bit of DIY. 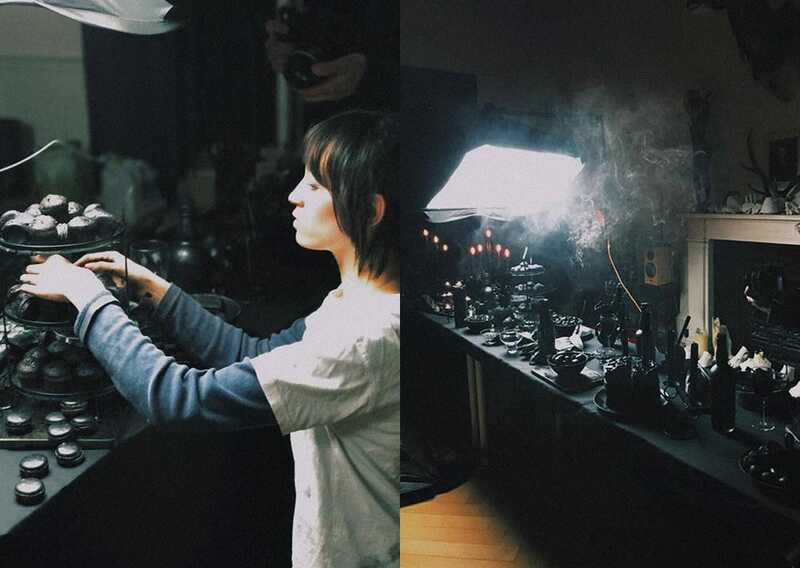 So, we spray painted everything black. Including a pineapple. And an uncooked chicken. We sneezed weird colours for days. 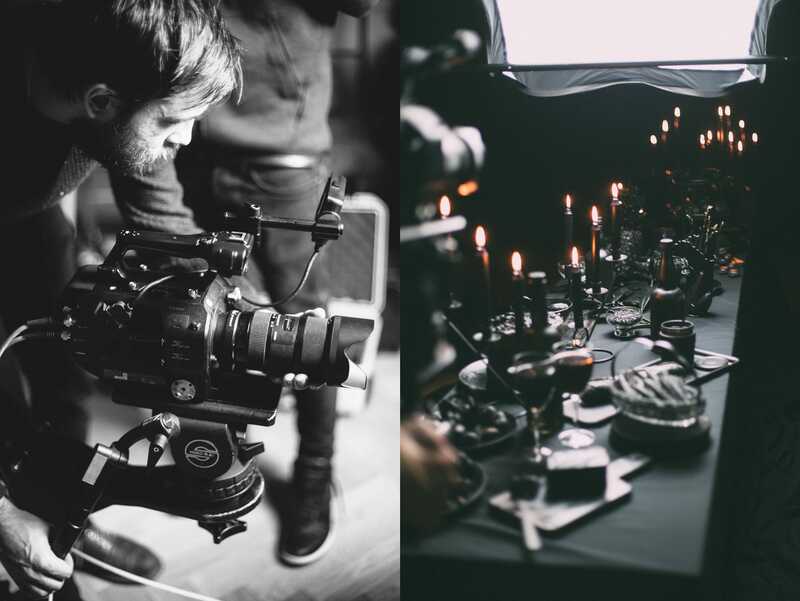 Across 3 days, we spread the shoot between the dining room scene, a day in the Campbell’s & Co factory and a day of aerials across the newly established smokehouse. Combined together in an artistic edit with sharp cuts, suspense and macro elements to represent the brand’s unique style and eventually reveal the luxury product. This was an extremely collaborative project thanks to the client’s strong mission and desire to go against the grain of tradition. One of our proudest salmon projects to date.